We have a great deal to make savings at Giant. 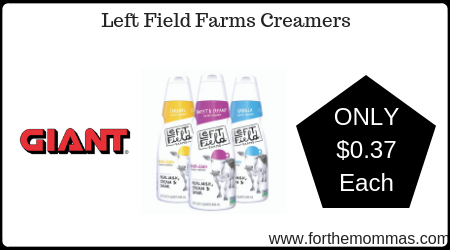 Left Field Farms Creamers are priced at $4.49 each. Plus you will earn $12.50 in gas rewards points that will further reduce the price. Stack these offers with an Ibotta rebate that will make the final price just $0.37 each!